In Leviticus 6:8–13 we find a recipe for the priests to come before the Lord for no other reason than to have alone time with God. This offering was for pure worship and intimacy, and the recipe explained the proper way to come into His presence. The burnt offering was a foreshadowing of Jesus Christ, the Lamb of God slain to make it possible for us to have fellowship or intimacy with God. Although the Lamb was slain, the burnt offering hasn’t been done away with; it’s just done in a different form. As believers in Jesus we are priests of the Lord (1 Pet. 2:5; Rev. 1:6; 5:10), and our lives are to be offered up as living sacrifices to God, holy and pleasing to Him (Rom. 12:1). So the sacrifice is now alive, and the death we as priests die is to our flesh and our will, which is absolutely a daily, ongoing thing. The burnt offering was different from any other offering or priestly duty. Every other offering was made on behalf of the people—it was for others. For example, the priest offered the grain offering so the people could have fellowship with God. The sin offering symbolized atonement and was offered so the people could be accepted in the sight of God. But the consumed offering was for God and God alone, an offering the priest made on behalf of himself. The Bible says this particular offering was a sweet smelling aroma to God. The fragrance of this offering traveled all the way to the nostrils of God. Every time the priests offered the consumed offering, it was like they were sending an SOS signal to heaven, and what God saw was: They love Me. They need Me! This offering is similar to our time of devotion in the mornings and evenings—an uninterrupted time set aside to pour out our hearts before God. How the Lord loves when we take time out of our busy schedules to just love Him and ask Him what He thinks we should do or not do. He loves when we honor Him by reading His Word, which is basically God’s Heart in a nutshell on how to live life. 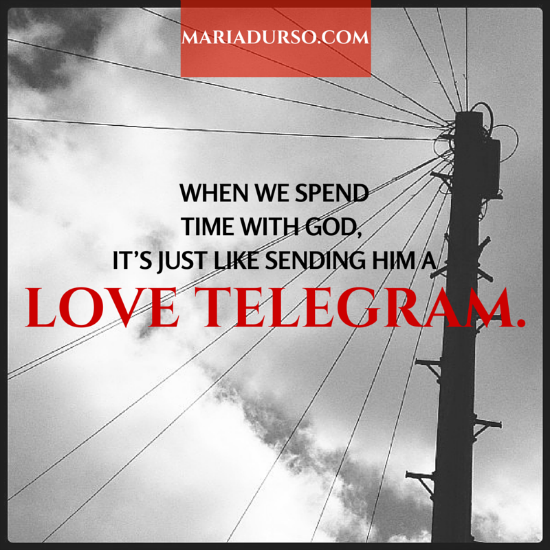 When we spend time with God, it’s just like sending Him a love telegram. Realize this: everything else the priests did was for someone else. Yes, the priests had hectic schedules and important responsibilities, but what about their own souls? What about the condition of their hearts? I’m sure they had plenty of annoying people in their congregations who were hard to handle. I’m sure there was sin in the camp. I’m sure that spending time with God was a much-needed station break to allow their flesh to cool down and to get their spirit fired up! Simply put, although they were priests, they weren’t perfect. Although they were God’s men, they weren’t God! They were human beings, which means they were being human. They needed their own time with God because they had their own issues, burdens, and regrets. They were dealing with their own fears and failures. Knowing this, God instituted this offering because He wanted the priests to have a time when they could pour out their guts before Him—and according to the requirements of this offering, it seems that their guts were exactly what God required. He wanted them naked, spilled out, and raw—nothing hidden! Plus, this offering allowed God to spend time with them—His favorite thing to do! Most of what we do in life is for other people, and realistically we really can’t keep on helping others unless we get alone in God’s presence and spend time in His Word and in prayer. All of us, just like the priests, have our own issues, burdens, and sins. Thank God we don’t have to find a lamb, slit its neck, take the insides out, wash the organs, cut off the head and legs, trim the fat, and then place it perfectly in the line of fire, wait for the ashes to die down, change our clothes to go and throw the ashes on the ash heap, come back to the camp, change back into our priestly garments, and start all over! Thank You, Jesus, we don’t have to do that today! Copyright © 2015 by Maria Durso, All Rights Reserved. Purchase a copy of my new book, From Your Head to Your Heart, on Amazon here.